It can be a real headache trying to decide what you’re going to wear for a special occasion, let alone having to think about the little ones too. 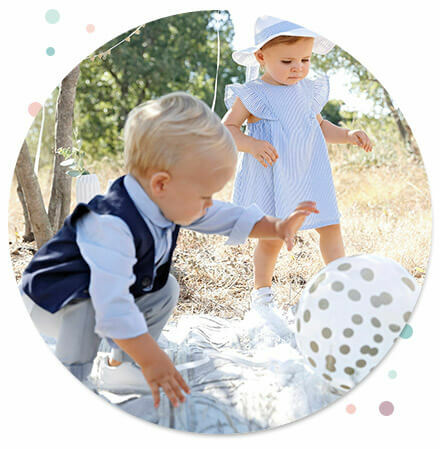 Whether you’re taking your children to a summer wedding, a backyard birthday party, a family soiree or a church christening, you want to make sure they’re dressed to impress. 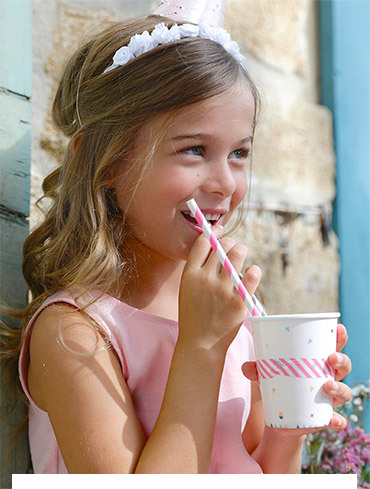 Will your tot be a flower girl, a pageboy, or simply in attendance at a summer wedding? Whatever the situation, it can be a minefield trying to find the perfect outfit for the occasion. Here are our top tips for weddings. The last thing you want when the bride and groom are walking up the aisle is for your child to be fidgeting and fussing because of itchy, synthetic fabric or tight collars. 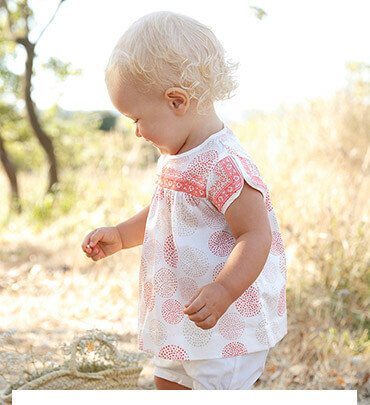 Avoid heavy materials and choose garments made from soft and comfortable cotton. Also, make sure your child isn’t restricted by their outfit in any way by choosing a sleeveless dress or an adjustable hook-fastening bowtie. We all know how much they love to sprint and skid around the dancefloor! When choosing a wedding outfit for a baby boy, girl, or young child, you will always be confronted with the question: what if they grow? To prepare yourself for this, always be one step ahead and plan for their next growth spurt. Why not use our Size Guide for help? Weddings can be stressful enough, what with all the travel, finding accommodation and buying the right gift. 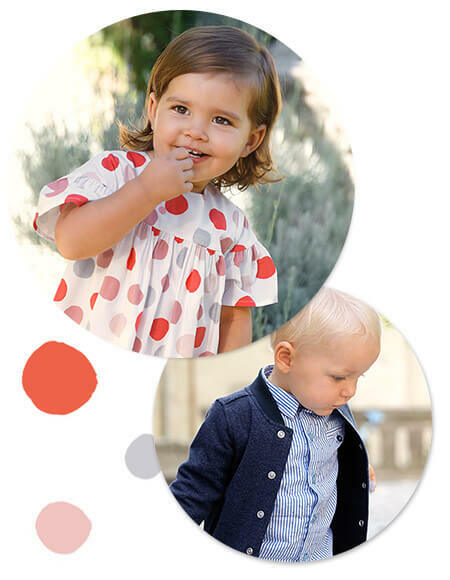 To make sure you're as prepared as possible, we recommend that you should start looking for your little one’s outfit when you begin shopping for your own clothes. You’ll thank yourself for avoiding a last-minute rush! These matching items feature pretty details, making them an essential outfit for any special occasion. This chic and relaxed short-sleeved polo shirt is both stylish and comfortable – perfect for a party! This stunning 2-in-1 dress is made from a wonderful mix of fabrics and features pretty frills on the shoulders. Great for those party days! 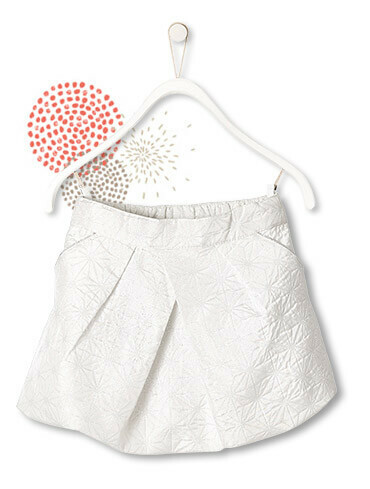 Does your little one prefer skirts to dresses? 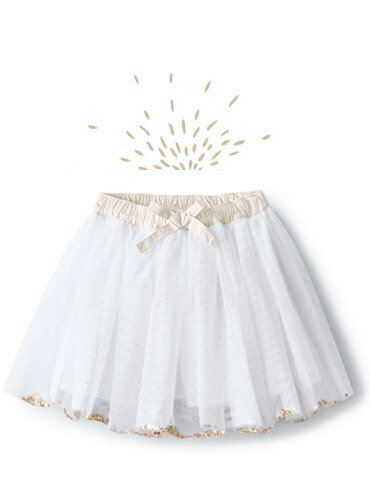 She’ll be shining in this glittery number, and the elasticated adjustable waistband will ensure she stays comfy throughout. Looking to accessorise? This beautiful braided headband is an elegant finishing touch on any super-cute hairstyle. 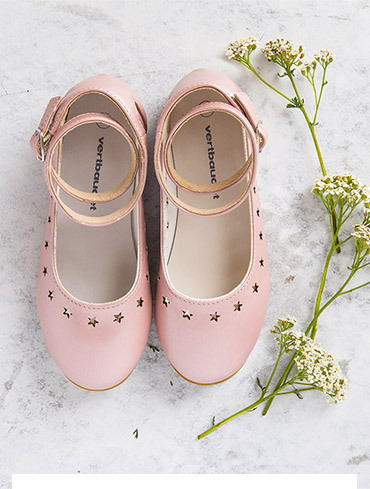 Available in silver or golden, these glossy-effect ballerinas are a charming accompaniment to any occasion wear. 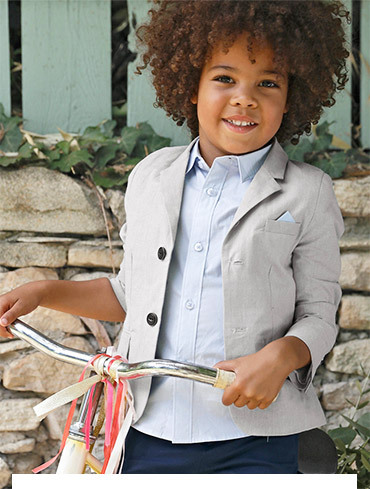 Bring a chic touch to your little boy’s smart outfit with this trendy trilby in pure cotton chambray. 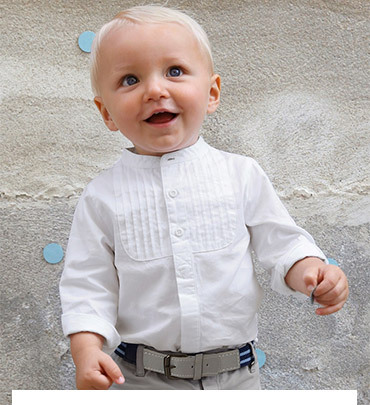 Chinos and braces are a perfect combination when it comes to dressing your little one for a big occasion. The turn-ups give this outfit a trendy touch. 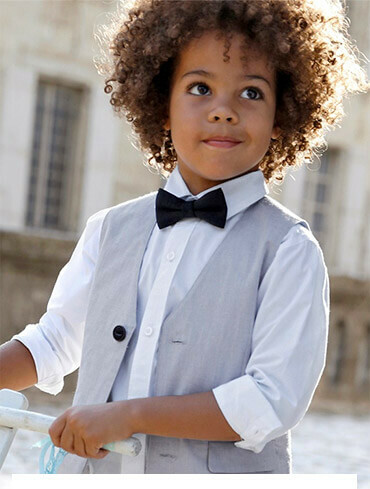 Want your little man to look like the most sophisticated guest at the wedding? 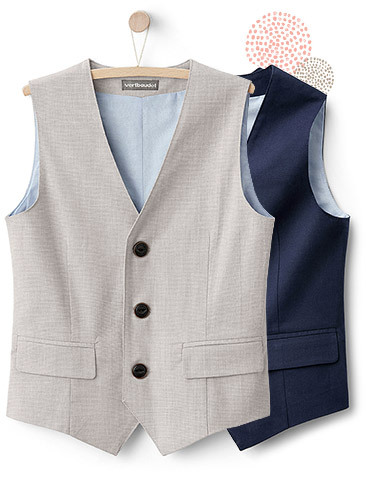 This smart and stylish boys’ waistcoat is the perfect choice! Any wedding outfit needs a chic accessory or two! 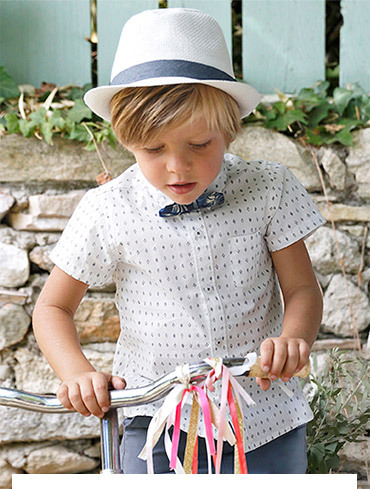 This smart bow tie is the perfect option for your little reveller. Birthdays are full of food, fun and laughter. 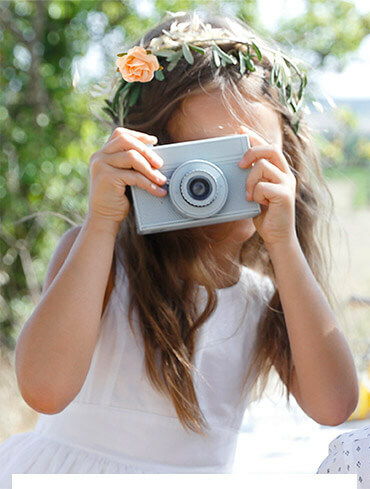 That’s why it’s important that your little one not only looks the part but has the freedom to enjoy themselves. Here are our tips for dressing your child for a birthday party. Unless you get all of your pictures taken at the start of the day, it’s a sensible idea to bring a change of clothes – especially for newborns and toddlers. Your child will inevitably find a way to make a mess. From grass-stained knees to splattered food and drink, there’s a multitude of things that could happen – even if it is all part of the birthday fun! Bring along an extra change of clothes just in case and you’ll spare yourself any worry. Every child wants to feel special on their birthday. 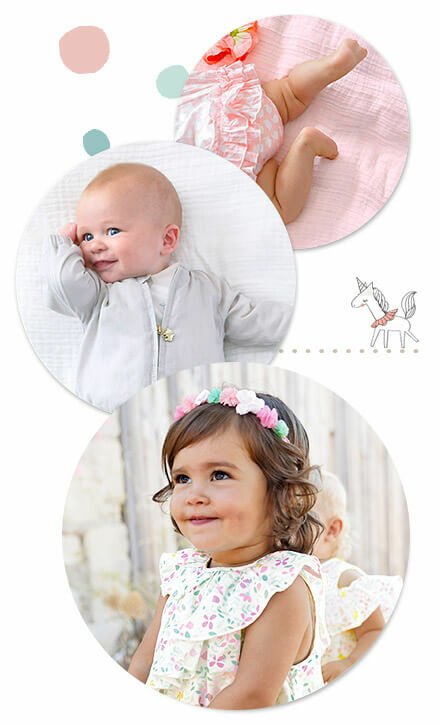 It doesn't matter whether it’s a first birthday party or if you’d simply like to add a dash of whimsy, celebrate the occasion and create memories that will last a lifetime by dressing them in enchanting clothing. Due to the cost associated with buying clothes for special occasions, it’s important to make the most of your money. You can future-proof any purchases for special occasions by buying birthday outfits for boys or girls that allow a little bit of wiggle room. This will ensure they are able to get more than one or two wears out of their special occasion clothes. Fortunately, there’s no need to fret about cost too much when you shop Vertbaudet’s range of occasion wear. We’ll help your money go further with affordable fashion in a variety of styles and designs. 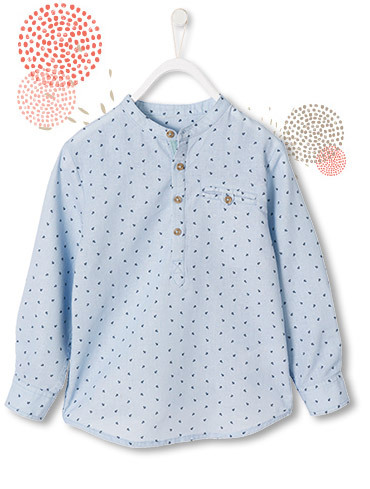 This poplin shirt features a super-trendy Mandarin collar, making it perfect for dressing your little one up for party season! This fantastic set combines a pair of comfy yet trendy baggy shorts, a pretty blouse and a matching headband, removing all the stress from outfit shopping. 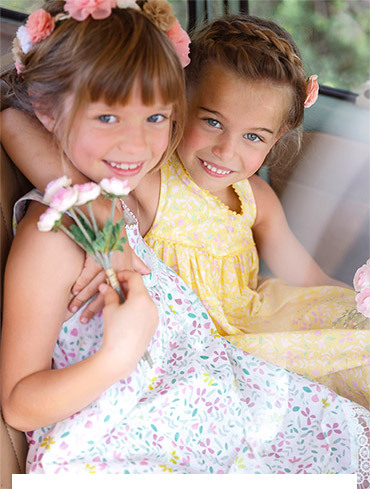 With crossed straps, small frills and pretty embroidery, this dress is perfect for any birthday girl! Extra-special occasions call for extra-special accessories! These stunning hair clips and elastic band will set her outfit off perfectly. 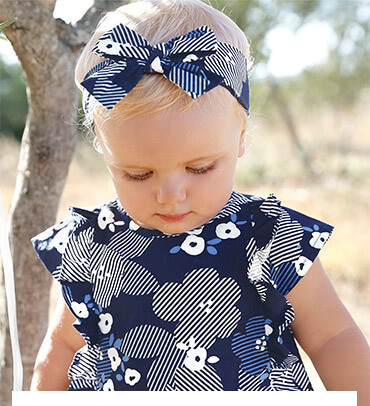 This complete outfit with a printed voile blouse and stretch twill cropped trousers is elegant, modern and stylish, taking all the hassle out of choosing a look for your little one! Whether your dressing him up for a party or just a regular day, it’s hard to beat the smart-casual style of a classic short-sleeved white poplin shirt. 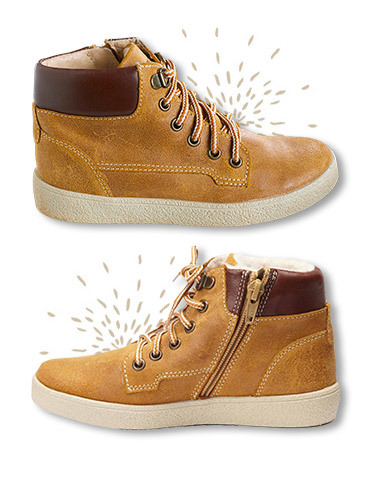 These ankle boots in camel are super-versatile, so you can be sure your little man will get plenty of wear from them! This patterned linen and cotton shirt features a super-trendy Mandarin collar. Leave the cuffs buttoned down, or roll the sleeves up for a cooler look and feel. Looking to smarten up his summer party outfit? 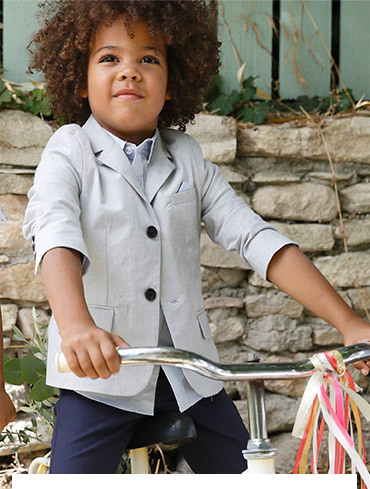 This lined jacket is a fantastic option if you want your little man to look elegant. Preparing for a big occasion? Got a big occasion coming up on your social calendar? 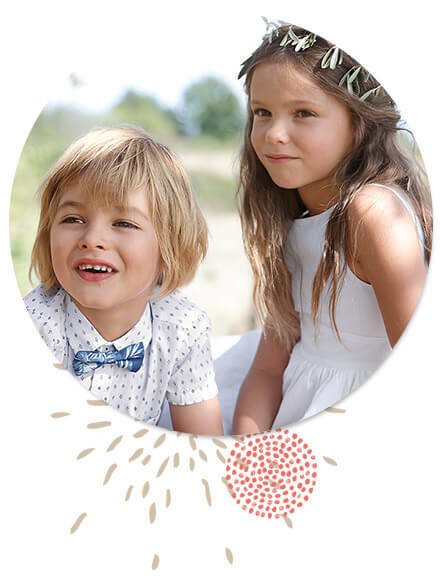 Check out our full Occasion Wear collection to find plenty of inspiration for cute, stylish and practical children’s occasion wear!